Join leading experts from Fenergo, Deloitte and Gulf One Investment Bank on for a 60 minute webinar-on-demand to gain insight into the current trends and challenges for compliance and digitalization in the Middle East. Emerging trends in the MENA financial market for both regulation and digitalization. Sean has nearly two decades experience with helping institutions implement digital transformational technologies that comply with regulations, deliver efficiencies, and improve client experience. 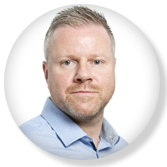 His past experience includes working with large global banks such as Lloyds Bank, Rabobank and HBOS plc. Cillian is a Director in Deloitte’s Consulting practice and leads Business Development for the firms EMEA Blockchain Lab. Cillian’s work at Deloitte has included the development of the Irish Funds Regulatory Reporting Blockchain and a Blockchain for Funds Distribution. 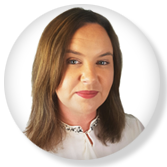 Previously, Cillian worked for Fenergo as Heads of Digital and Client Solutions Consulting as well as for DST Systems, as APAC Sales Lead. 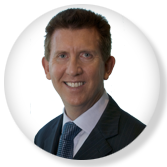 Dean Rowan is the Chairman of the GCC Risk, Compliance and AML Professionals, Regional Director the Professional Risk Managers International Association, Advisory Board Member of the International Compliance Association (ICA) (London) and Graduate of the Australian Company Directors. 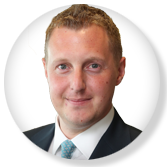 Previously, Dean worked with Barclays Bank PLC, London as Head of Group Risk, at Westpac Bank, Australia and 10 years with Citibank, Australia and Asia Pacific.